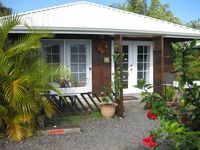 Property 16: Oceanview Hilo Studio w/ Elevated Covered Deck! Property 17: Tropical Studio Apartment! Property 18: Rain Forest Apartment! Property 24: OUR AREA IS NOT EFFECTED BY THE RECENT VOLCANO - THE PERFECT OCEANFRONT RETREAT! 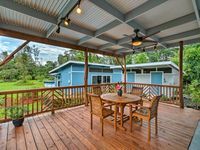 Beautiful large penthouse suite on stream 5 minutes north of Hilo! Property 43: Beautiful large penthouse suite on stream 5 minutes north of Hilo!